The Metropolitan Park landscape in Pasay City will soon experience another breakthrough in real estate development, Federal Land Inc., the real estate arm of Metrobank Group, will soon unveil another master-planned community that promises a luxurious resort lifestyle. Renowned architectural firms come together to create a unique and exciting city that brings everyday living to the level of art. Introducing, Six Senses Resort. Six Senses Resort is a luxury community composing of 6 towers covering 16,554 sq.m. along Macapagal Avenue in Pasay City. Six Senses Resort is the newest Federal Land offering in this 40-hectar enclave near Manila Bay. Imagine the famous Manila Bay sunset from your every window or the glittering Makati Skyline at night. Your home at Six Senses Resort will feature elegant edges and refined curves interiors reminiscent of classic sculptures. Six Senses Resort promises a grand lifestyle with resort-inspired amenities. A symphony of new experience awaits you and your family at the Club La Pav, where priceless moments will forever be cherished by residents. 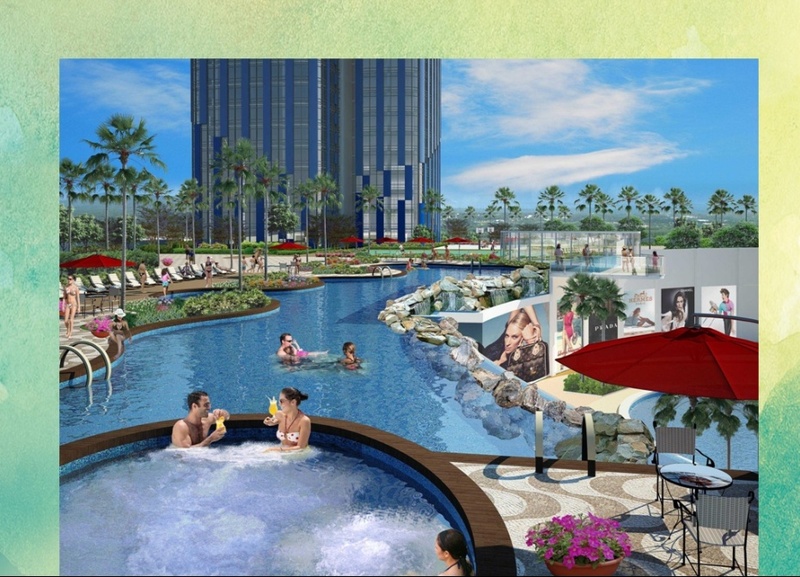 Residents will start enjoying resort-living by the first quarter of 2016. Six Senses Resort is very closed, yet detached, from the hassle and bustle of Entertainment City Manila (also known as Bagong Nayong Pilipino Entertainment City Manila or PAGCOR City). E-City Manila is Asia’s Las Vegas-like gaming and entertainment complex that PAGCOR proposed to offer on 8 kilometer of land on the reclamation area of Manila Bay. Not to mention, Six Senses Resort is near SM Mall of Asia and NAIA . With stunning waterways, glass sculptures, and avant-garde pieces, the Metropolitan Park is set to be the most up-and-coming city, where shopping is exquisite, dining is sublime and living is utterly inspired. Truly, when you live in an architectural masterpiece, life is an art. 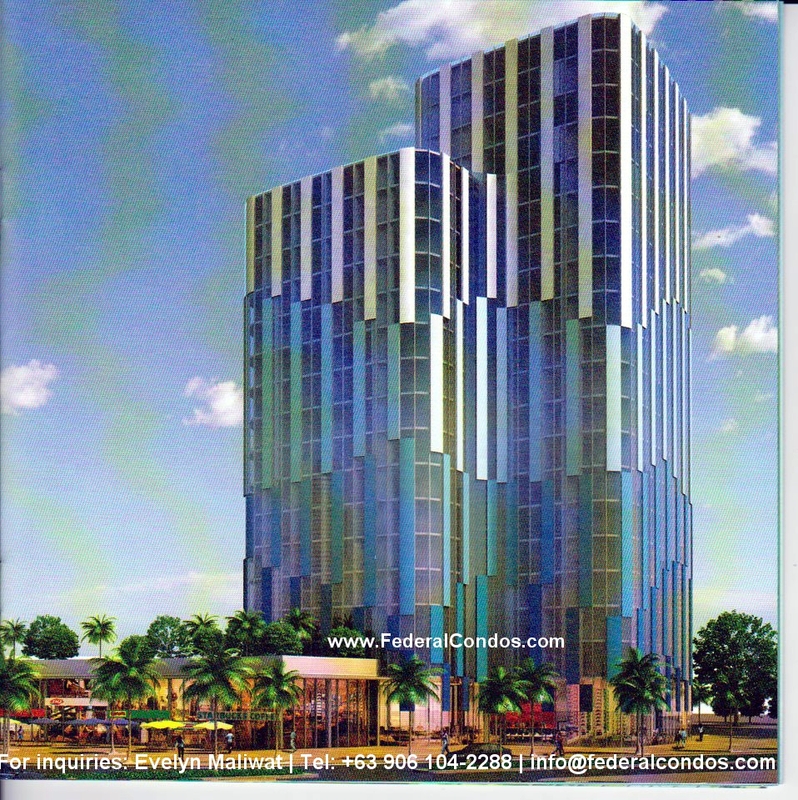 Fedsales Marketing Network, a division of Federal Land Inc. will start marketing the first tower this month. Flexible financing scheme are available starting with only P15,000 per month. 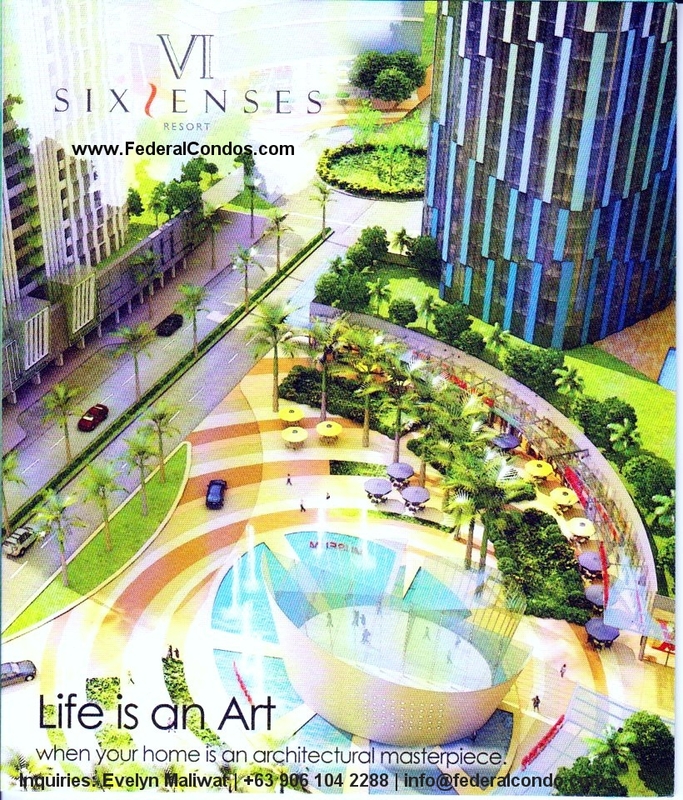 This entry was posted in Pasay and tagged baagong nayong filipino manila, condominium federal, e-city manila, entertainment city manila, federal land, federal properties, manila bay condo, manila bay real estate, pagcor city, pasay condominium, pasay real estate, six senses condo, six senses condominium, six senses federal land, six senses resort. Bookmark the permalink.